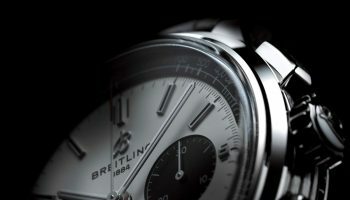 This year Breitling celebrates the 100th anniversary of the independent chronograph push-piece. 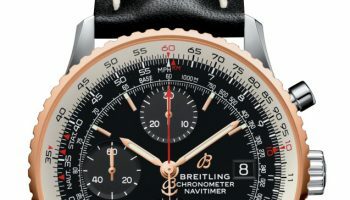 In 1915 Breitling offered one of the first wrist chronographs, which was equipped with the first chronograph push-piece independent of the crown. One century later this milestone invention is celebrated by the brand with the introduction of the Transocean Chronograph 1915. 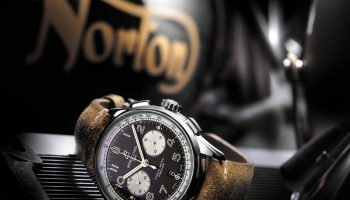 With the introduction of the wrist chronograph in 1915, the founder’s son Gaston Breitling came up with the idea to create a push-piece for the chronograph operations separated from the crown. To ensure smooth, ergonomic handling, the push-piece was placed at 2 o’clock. This is the place where the thumb or forefinger naturally rests when the watch is on the wrist or in the palm of the hand. Over time the system was perfected and the final step took place in 1934, when Breitling introduced the second independent push-piece that was intended for zero-setting. 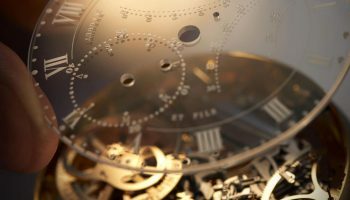 The invention of the two push-pieces was soon adopted by all the competitors and became a milestone in the history of watchmaking. 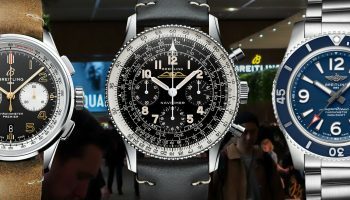 In honor of this milestone, Breitling now reveals a collector’s piece for all you chronograph lovers out there: the Transocean Chronograph 1915. 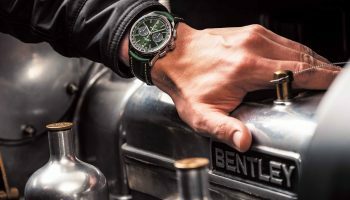 This mono-pusher chronograph with double column wheel is equipped with an exclusive new hand-wound Manufacture Breitling B14 that is officially chronometer-certified. 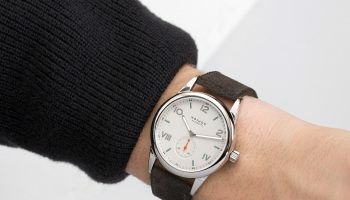 It also shows an unusual design reinterpreting the movement used in the famous 1915 push-piece. 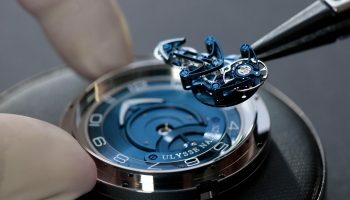 The steel case features the famous push-piece at 2 o’clock and houses a silvered dial with small seconds and 30-minute counter. Just 1.915 pieces of this limited model will be produced.